Starch grains. 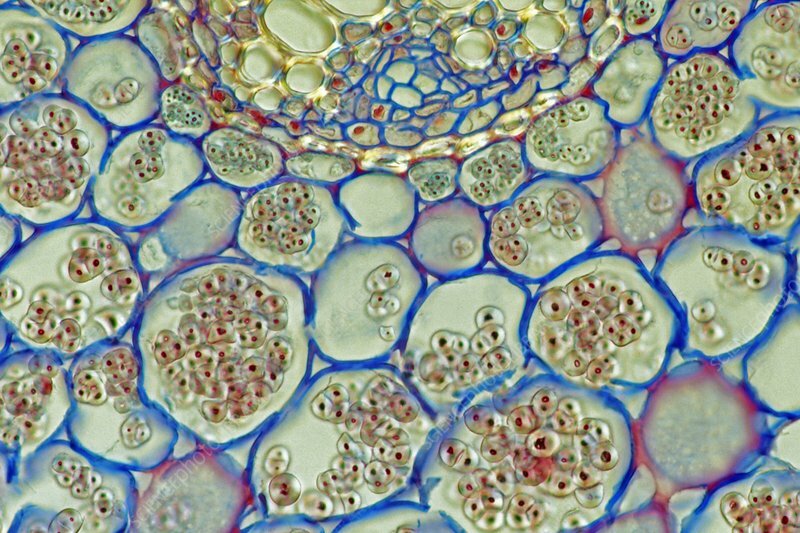 Light micrograph of a section through tissue from a marsh pennywort (Ranunculus ficaria) plant, showing cells full of starch grains (small, round). Magnification: x110 when printed 10 centimetres wide.